For a limited time, Destiny 2 players can try out the upcoming Gambit PvPvE hybrid mode for free. Running until 10 am Pacific on Sunday, September 2, 2018, the Destiny 2 Gambit free trial allows any Destiny 2 owners to play the mode ahead of Forsaken’s launch on September 4th. Once Destiny 2 Forsaken is out, Gambit will be exclusive to that expansion. This is a great opportunity for players who got Destiny 2 free this week from PS Plus to take part and determine if they want to upgrade to Forsaken. During the Destiny 2 Gambit free trial, there are a couple of limitations in place. Stats will not be recorded, so things like kill/death ratios, win rates, and other metrics are not going to be kept past the limited time trial. There are also no new rewards or progress to be gained from the mode. You won’t earn any Infamy (Gambit’s rank progress), and although Forsaken rewards have been dropping early from some other events, you won’t be getting any Gambit rewards by playing this weekend. Bungie has compared Gambit to the asynchronous competition found in Super Puzzle Fighter, as the mode has both direct and indirect competition against the other team. We took Gambit on ourselves at E3 this year and came away saying that it was a game changer for Destiny 2. 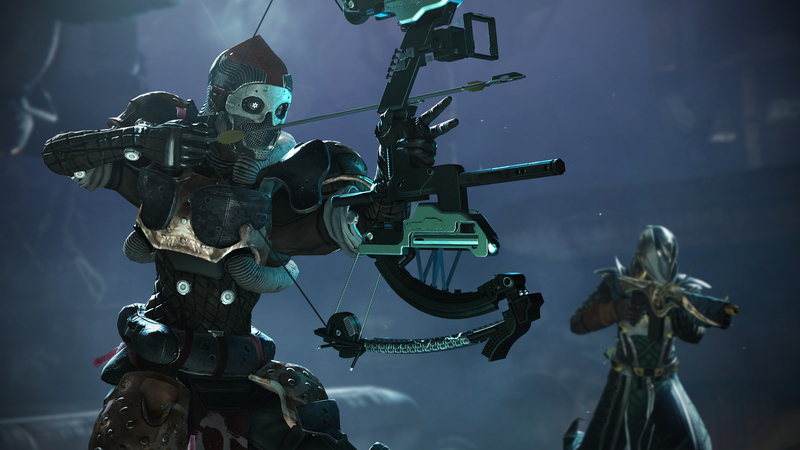 Destiny 2 update 2.0 dropped earlier this week to get players ready for Forsaken. The PlayStation exclusive items for the expansion were detailed and shown off, as well as a huge outline of what players can expect over the next year, including Annual Pass content. Will you be taking part in the Destiny 2 Gambit free trial this weekend? Make sure to play it before it goes away on Sunday, September 2, 2018.